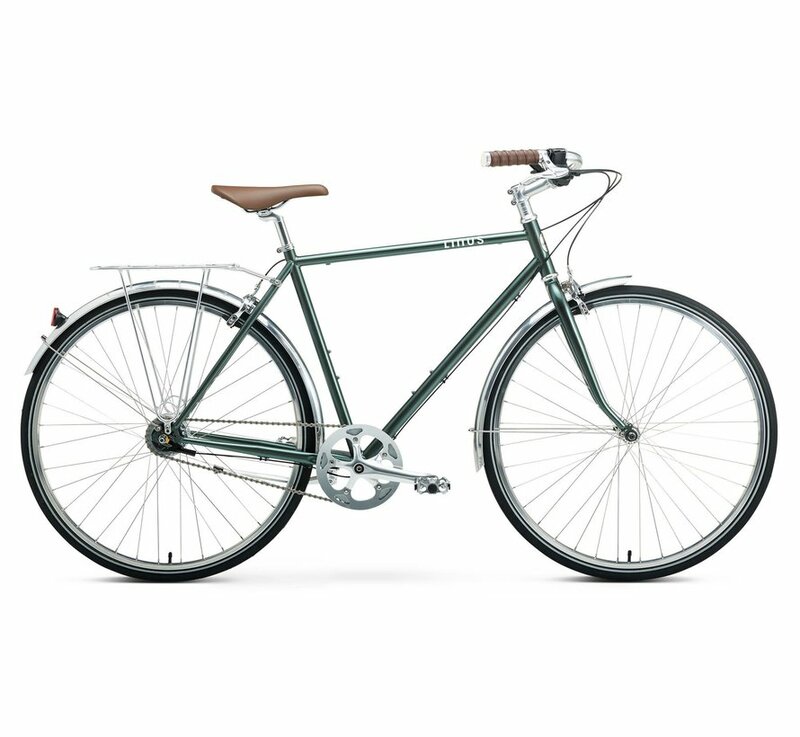 Based on European bikes from the 60's, the Linus Roadster is the perfect combination of classic styling and modern components. Features a Shimano Nexus 7 speed internal hub with trigger shifter, snappy silver dual-pivot caliper brakes, modern threadless headset and leather wrapped grips. 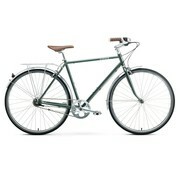 Comes complete with aluminum fenders, kickstand and rear rack. 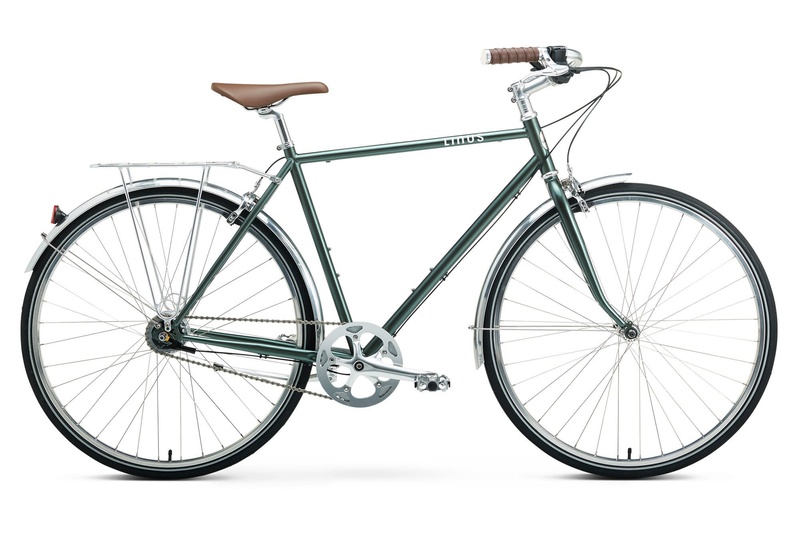 Gear Inches 35.9" to 87.8"
A semi-upright city bike with tons of style.